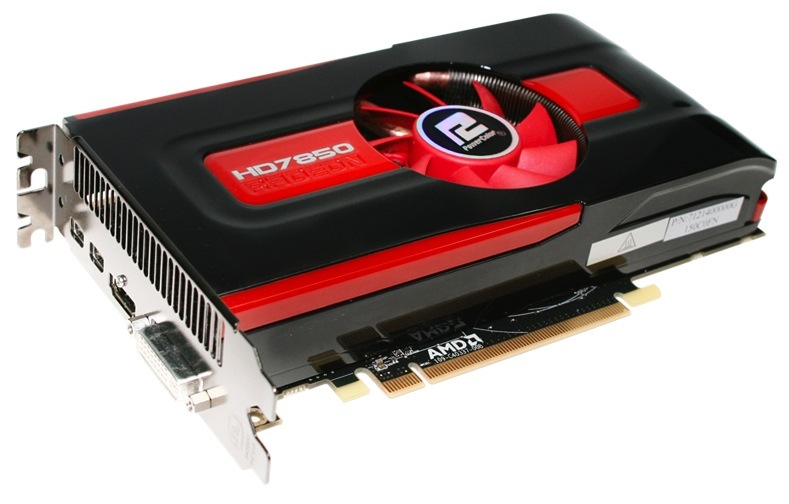 It has been weeks since we reviewed AMD's Radeon HD 7870 and 7850 cards, but unlike the 7900 and 7700 series cards, the 7800 series was given the typical middle-child treatment and paper launched. and cards began appearing at retailers just this week. 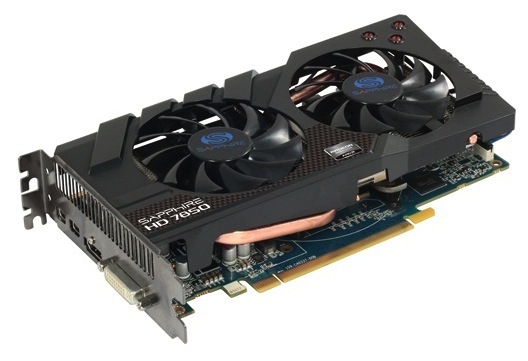 While Kepler's launch has cast a long shadow over the top end of the graphics market (a GTX 680 recap is coming later today, dont worry), but competition is still fierce, and as we noted in our review the 7850 is a solid performer and the fastest 150 watt card on the market today. Let's look at what AMD's partners have for us. Common to all of these cards is 2GB of GDDR5 on a 256-bit bus, Eyefinity support, and all of GCN's features. All cards also offer identical outputs: two mini DisplayPorts, one HDMI port, and one DVI-I port. Normally we see a range of prices from different manufacturers due to factory overclocks, longer warranties, or included accessories, but in this case we've got identical prices across the board, making it much easier to make an apples-to-apples comparison among cards. As long as you don't have any particular brand loyalty, just pick the one with the value-added extras that you need the most. The ASUS 7850 features a 10MHz overclock on both the GPU and the RAM, but it's so small that it won't increase framerates much at all over stock clocks. Its bundle of accessories is pretty sparse, but its 3-year warranty is tied with the Gigabyte card for the longest of the bunch. 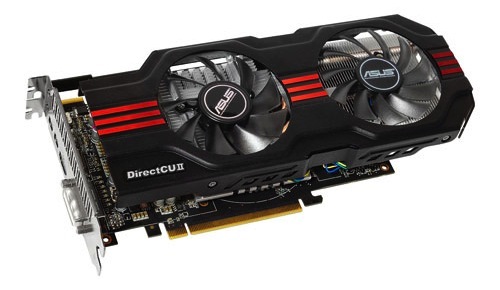 This ASUS card's defining characteristic is the DirectCUII cooler, a huge two-fan cooler that was actually designed for longer cards like the Radeon HD 7950. On the shorter 7850, it hangs over the end of the card by quite a bit, requiring the use of an extension cord to make the 6-pin power connection accessible. This move may make the GPU cooler (and, by extension, get you a better overclock), but it will also require a larger case. 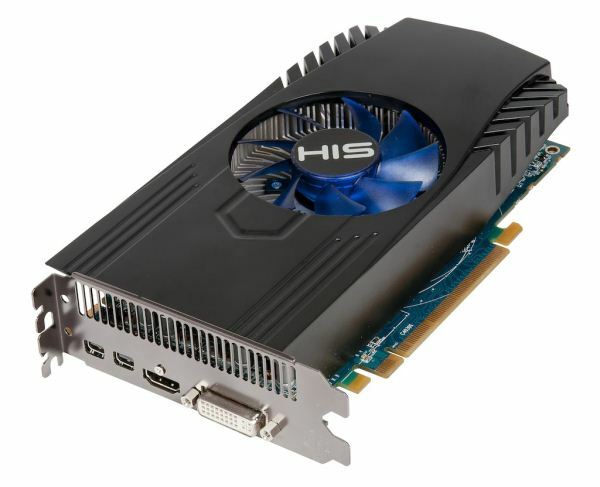 The Gigabyte card has a bit in common with the ASUS card - a big fancy two-fan cooler, a 3-year warranty, a bare accessory bundle - but it's a bit shorter in length, and it features an impressive 115MHz (about 12%) overclock on the core, which should actually net you a measurable increase in game performance. The memory clock , however, is left at stock. Here's a first in AnandTech Graphics Card Launch Recap History: the dimensions for this HIS card aren't available through Newegg or HIS's product page, or anywhere else that I can find (the product page gives "box dimensions", which is useful if you're shipping the card but not if you're using it). Luckily, its humdrum single-fan cooler means that the card should be unremarkable in this regard - I'd guess it should be close to eight inches long. Otherwise, HIS doesn't give you much in terms of value-adds - it uses stock clocks, the two-year warranty is the minimum I like to see on components that cost this much, and the DVI to VGA adapter and Crossfire bridge constitute a pretty small accessory bundle. With the MSI card, we're back to custom two-fan coolers and big heatsinks. A 40MHz (~4.5%) core overclock is respectable but small, and it uses stock memory clocks. A 3-year parts and 2-year labor warranty splits the difference between the longest and shortest warranties on the list. Where MSI beats the competition is in its accessory bundle, which is actually worthy of the name - in addition to basics like power cable adapters (the Newegg product image appears to include two of these, though it only has the one six pin power plug on the back) and a DVI to VGA adapter, it also includes a Mini DisplayPort to DisplayPort adapter. The PowerColor card is a lot like the HIS model in its single-fan cooler, 2-year warranty, and stock clocks, but it adds some useful display adapters to the package. PowerColor's card is the only one here that's using AMD's reference cooler for the 7850 series (visible on this page of our review). Sapphire's take on the 7850, which uses another big two-fan cooler, is the only one in the list with a memory overclock worthy of the name. The 50MHz (4%) RAM overclock along with the 60MHz (6.5%) core overclock should give you a noticeable increase in framerates if you're not comfortable doing your own overclocking. Other benefits include the respectable accessory bundle and other drawbacks include a shorter 2-year warranty. ^This. My next card will be a Gigabyte or MSI both in my experience are truly legit. Like Blaze said the Zalman coolers that came with my 4870 and 8800gt both had pretty bad fan controls though, resulting in excess noise. I would actually call it more a design defect. Mine the plastic around the fan keeps rattling. I fixed it by moving it back and forth until it permanently stopped. I can hear the fan well, but that is because the A/C vent made more noise than my computer before. I had a Thermalright HR-03 GT with a Noctua fan on ultra low on my old video card so it made almost no noise. 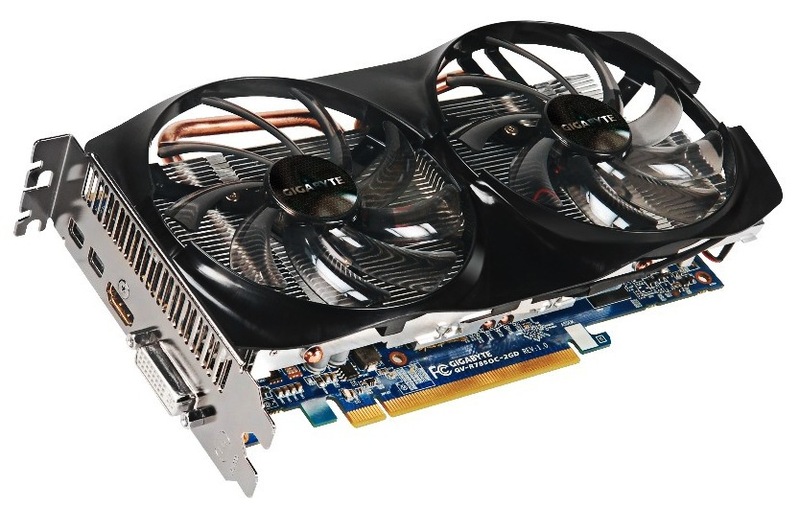 As soon as Thermalright released there compatibility list for the 7000 series I am going to rip off the Gigabyte cooler anyway. I really don't think any of the stock coolers on the market right now are good enough for me. 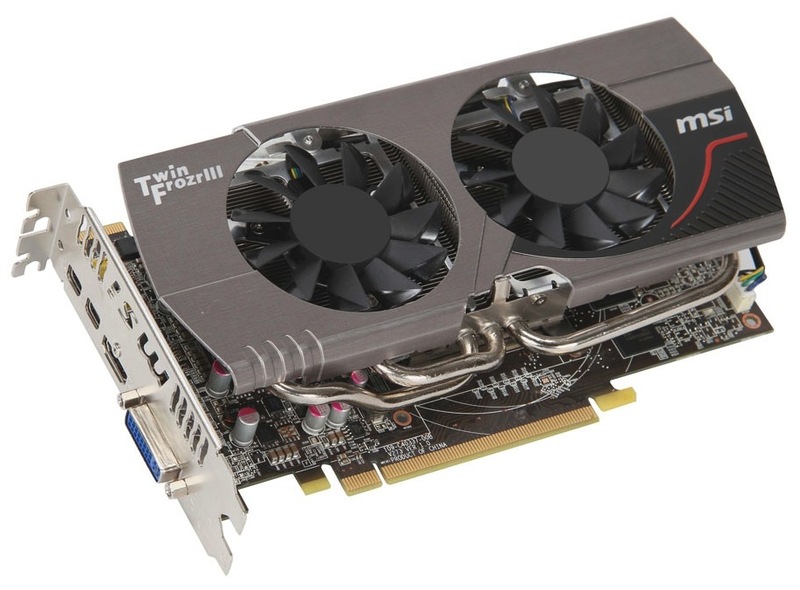 This will be more interesting when the 7850 isn't more expensive than the card it is replacing. Let us know when it drops to a more reasonable price, like below $200 where a 28 nm 6950 would belong.